This piece is my first ever commissioned work! 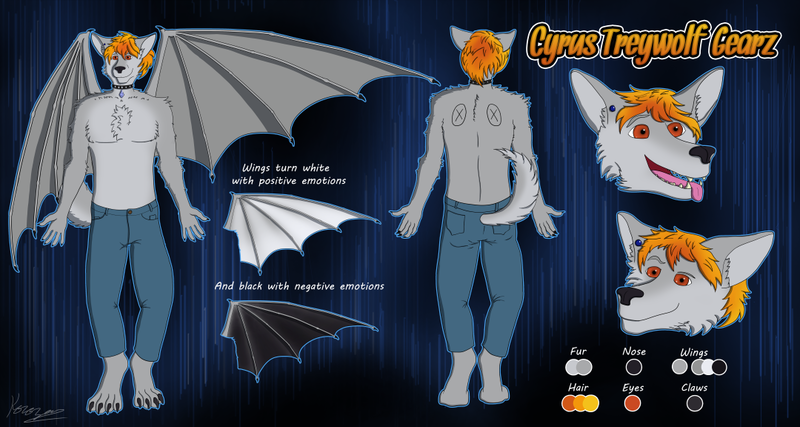 A reference sheet for CyTreywolfGearz. Thank you for being my first commission!